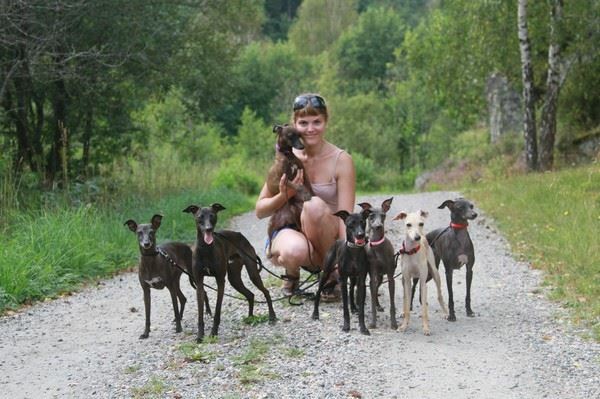 I've (Rebecka Åhman) been blessed with the company of Italian Greyhounds since August 2007. Then I developed a huge interest of the breed, and the first litter was born 24th of November 2010, a month early, but the best Christmas gift ever. Until today theres been seven raised litters, a total of 37 puppies. We spend quite a lot of time at dogshows, lure coursing and racing. A veterinarian examines the patella, eyes and heart of the dogs bred on.